Last week, I posted about how I ultimately chose my hosting partner, SiteGround , for my blog. This week, I want to talk about an equally difficult struggle – choosing the right blog theme for your site. When I started this blog, little did I realize the many, many choices I would need to make in a short amount of time. WordPress themes are everywhere – there are stand-alone themes and themes meant to work as a “child theme” on the Genesis framework. Am I speaking gibberish yet? Believe me, that is what I was thinking as I worked through the choices. A blog theme controls the overall look of the blog. These are the elements you notice when you open the blog – where the categories are located, how the pictures are placed, and how the various content areas are laid out on the page. There are many free themes available for the beginner, so many that it is really overwhelming, but it is easy to switch back and forth at the beginning to get a feel for the right look. I started with free themes available from WordPress.org. From your WordPress administration page, just go to Appearance, Themes and search for free themes. I was wary of using any other types of themes since I didn’t know the players yet and was very cautious about malware issues. I will say there are a lot of great, free themes available to the new blogger. They just didn’t have the ability to scale the functionality I knew I would want as my blog grew. I also wanted a theme with a support team behind it and good documentation to walk me through all the many parts of a page, so when something does break (probably because I broke it), I have somewhere to turn for support. I have worked in the technical field for over 20 years – tech support is very important in my life, so I am really aware of how much it is needed for a newbie in this technology! 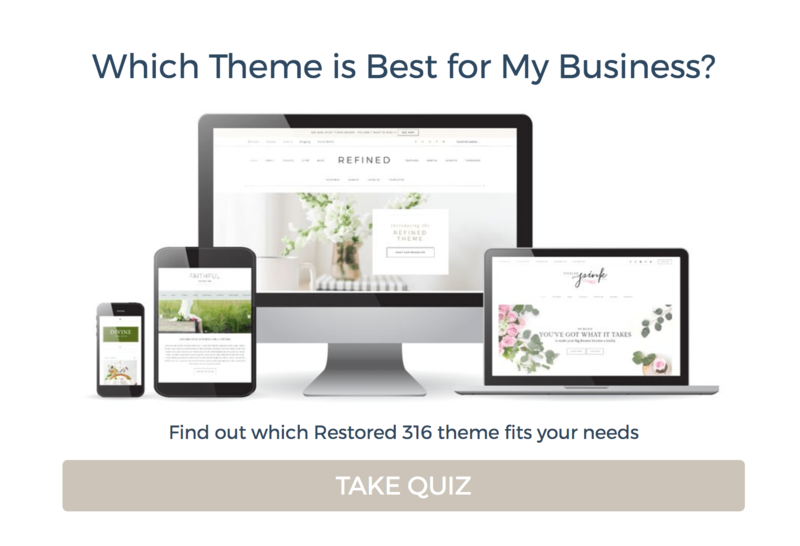 I went through four different free themes with varying levels of success before I made the decision to purchase the Genesis Framework from StudioPress. For a new blogger, this decision is a bit pricey – the Framework alone is about $60 and then a quality child theme runs around $40- $80. Without a dime of income coming in, but what feels like a lot of money going out, it was a hard choice to make. (I also had many, many questions to start – What’s a header? Why do I have a primary sidebar? What the heck do I do with a widget? Where do I get plug-ins? and so on.) I recommend spending some time at wpbeginner.com to understand the ins and outs of WordPress and themes as well as working with the elements within the free themes to understand the functionality you will want in your final theme choice. I knew I would monetize my blog and I would also want a way to accept secure payments in the future, so I made a list of all of the items I wanted on my theme – customized photo sliders, widget areas for various content and ad elements, menu types, etc. I will say if you choose to go with Genesis, StudioPress has a great gallery of child themes to choose from and there are a number of third-party sellers of child themes as well. Many designers prefer working with Genesis, so it is easy to find help. However, you may need to be comfortable with some level of coding or be prepared to hire out the work. I have a background in HTML, so while I was very intimidated, I knew I could handle basic changes. Next up was deciding on my child theme. I drove my other half a little crazy showing one theme over another theme and then another theme. I even showed a few to the dogs, who didn’t seem to care about colors or layout, for some reason. I will admit this part took me way too long because I agonized over making the wrong choice and having to buy another child theme. I finally decided on a child theme by Restored 316, who have a nice collection of light, airy themes with a lot of great spaces to add custom elements. My theme is called Divine, and I think it is. I am still working on making additional changes – a font style here, a color change there, but the overall structure is what I was looking for. They have a great resource page and blog to help out with the details after the sale and they are responsive to emails as well. When choosing a child theme, I recommend finding the documentation for setting up the theme on the designer’s website or asking for the documentation before buying. I reviewed several themes and their documentation to gauge how difficult it would be to set up the various elements and how hard it would be to make some minor changes. Divine was not hard to set up, but it did take time and attention to detail, so reserve a few hours of uninterrupted time to do the complete setup once it is installed. The most important step was I had to install the Genesis Framework first, and then the Divine Child theme. Both StudioPress and Restored 316 have good instructions and documentation to clearly step you through this process. The theme will not look like it does on the sample page when it is first installed. Restored316 provided a very detailed set-up guide to help me create the exact look they have on their sample site and then you can tweak the elements from there. The nice thing about a child theme is it can be changed relatively easily without worrying about breaking the underlying code that runs the site. In addition, no two bloggers are likely to create their blog the same way, so everyone is unique in some way. Along with the child theme, Restored316 also gave me a list of plug-ins they used to design the site. It was very easy to go to Plugins in the WordPress administrative screen, find the ones listed, and install them with the new theme. I am still learning the finer details of my theme, and I’m sure as I grow may make changes or decide on another child theme altogether, but I know I have set up my blog with a framework which is reliable, secure, and can be scaled for future use. While Genesis was definitely the right choice for me, I would say it does require a bit of a learning curve that other, less customizable themes, do not. But, you gain additional flexibility and customization for the price of learning a little bit about coding, which I thought was a worthy trade off. What are you using or will you use for your blog? Do you have questions for me? Post in the comments below. I would love to hear your perspective on this difficult, but crucial choice in the path of creating a successful blog. This post does contain links to affiliates and I will receive a small payment, at no cost to you, in exchange for providing awareness of their products on this site. I only recommend products and services which I have used and believe are beneficial to my readers.